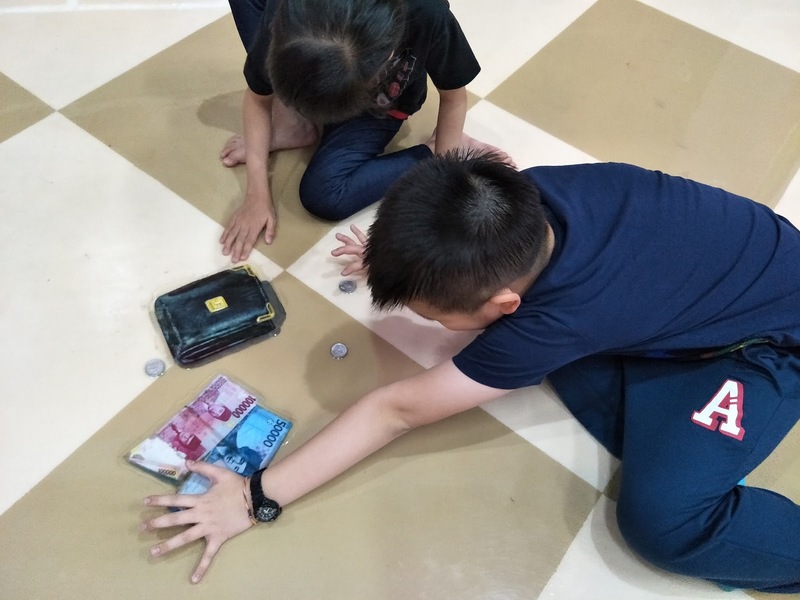 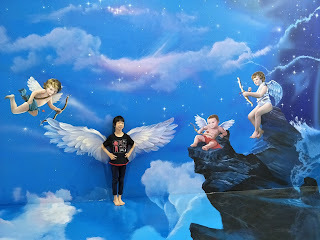 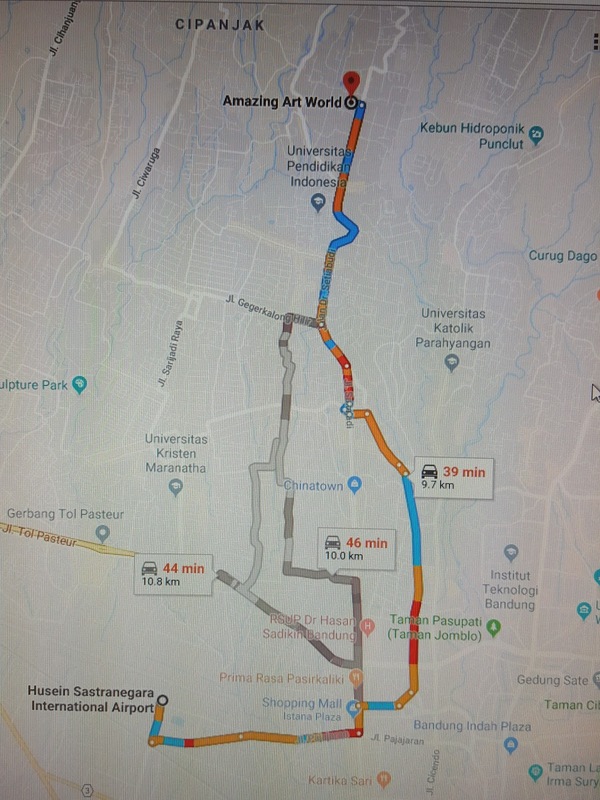 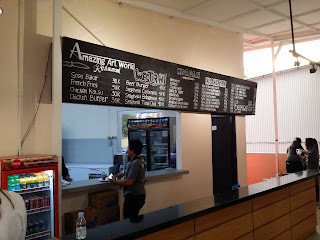 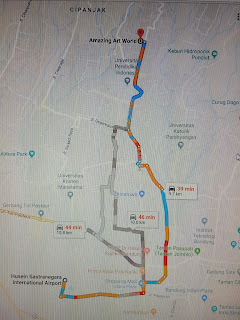 We have 3 days in Lembang and I realised I had so much to do in Lembang. 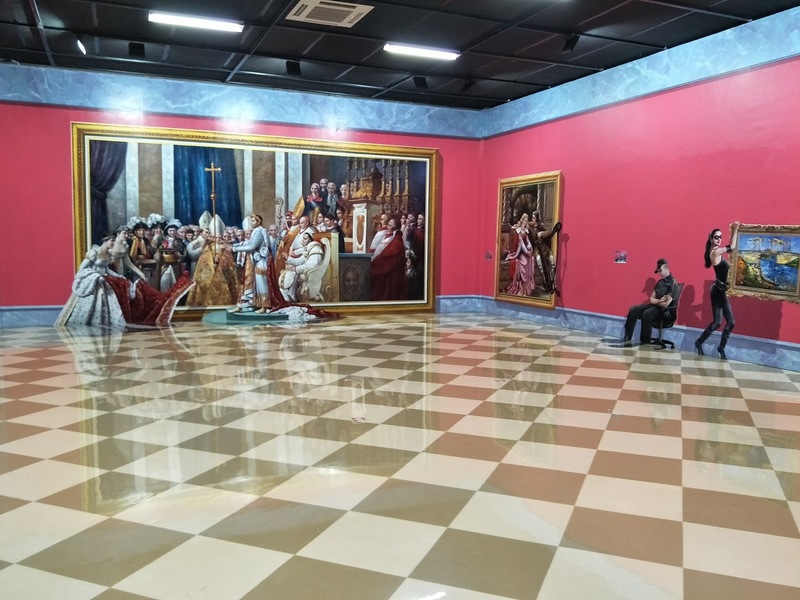 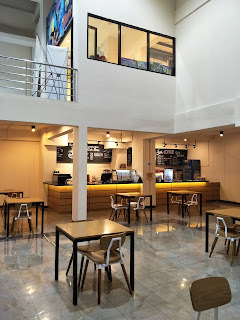 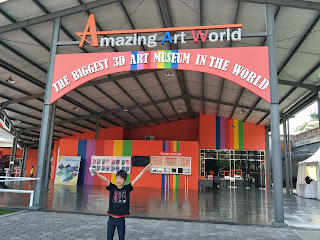 We are lucky not to miss this spot as we had spent 4 hours in Amazing Art World Bandung and this building is really huge. 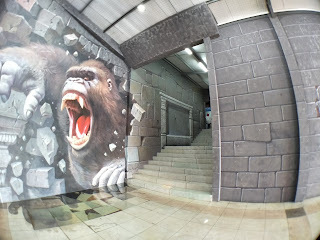 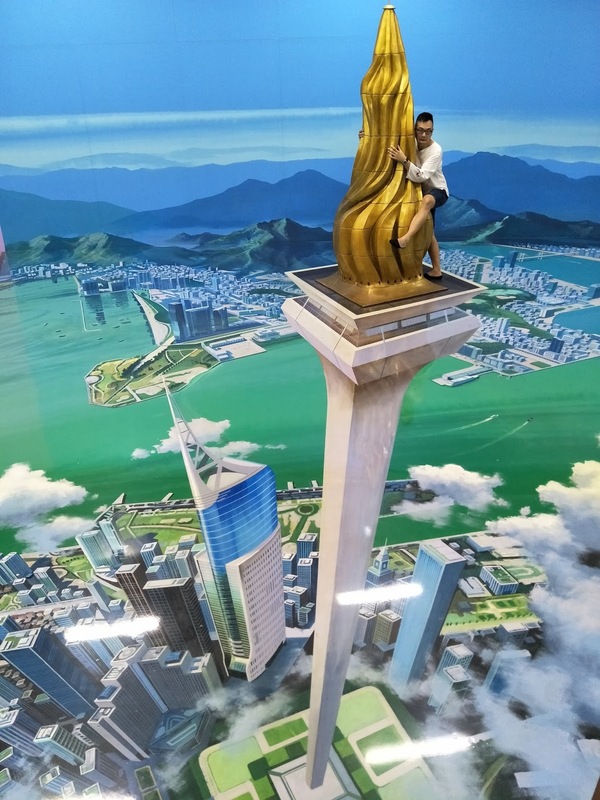 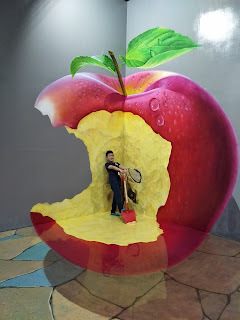 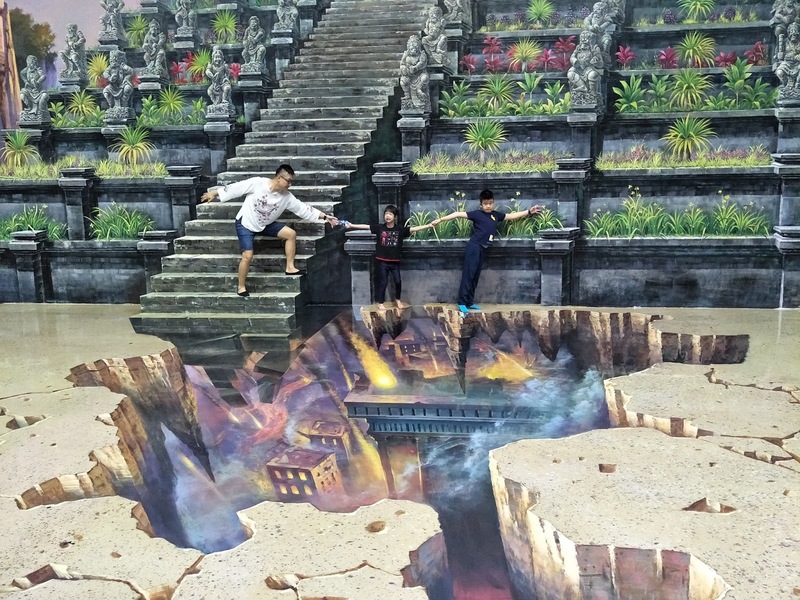 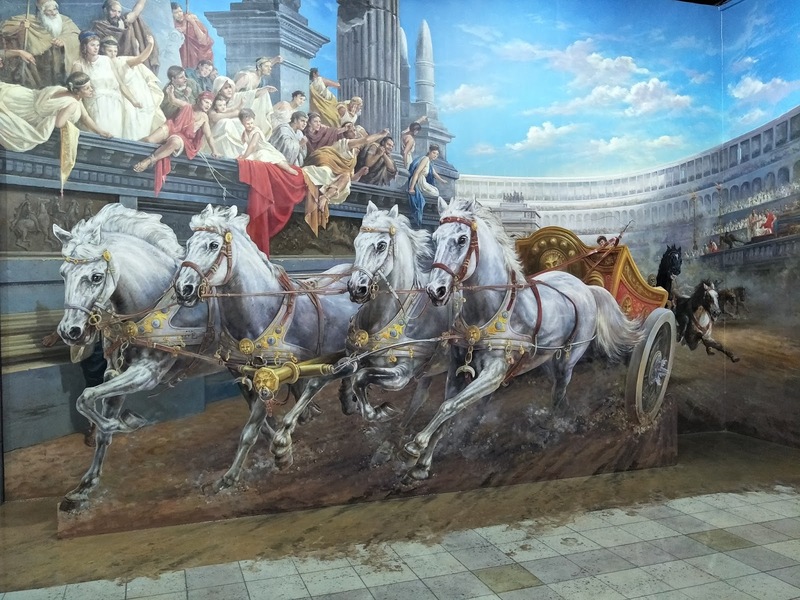 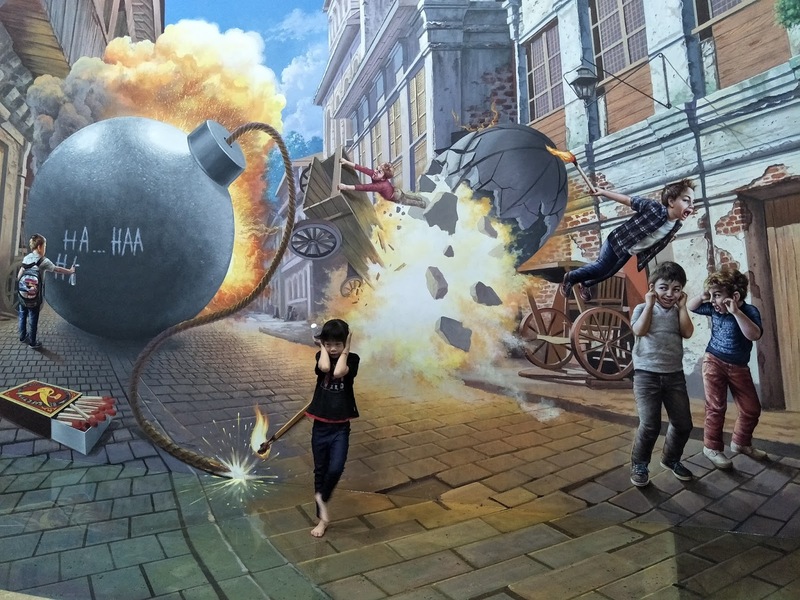 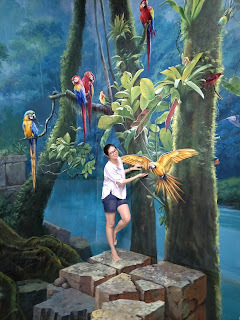 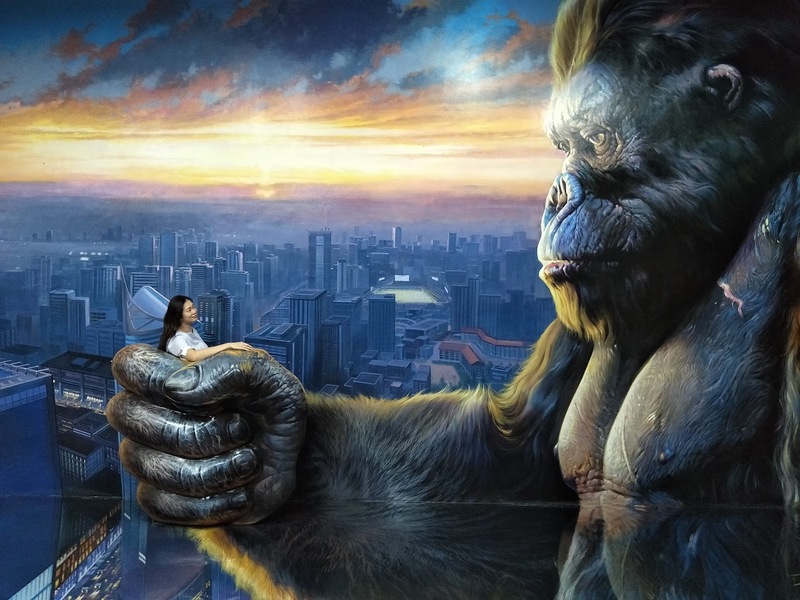 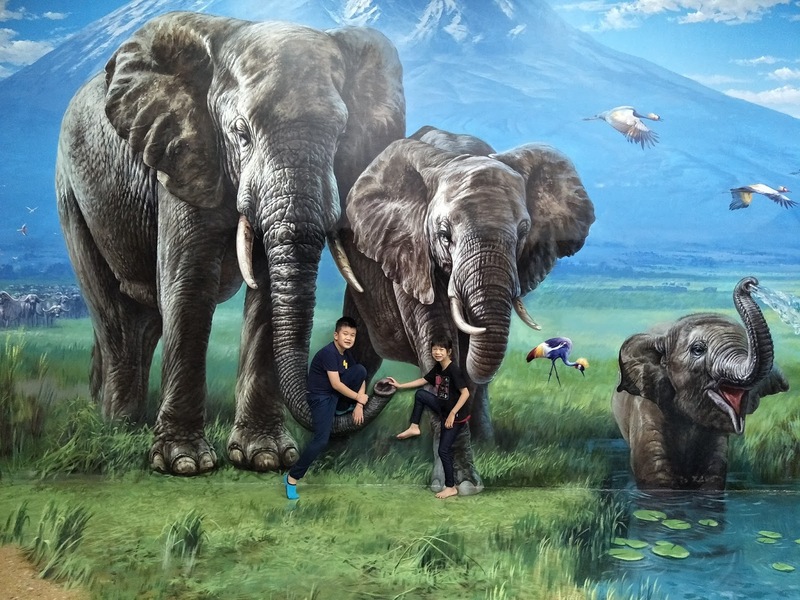 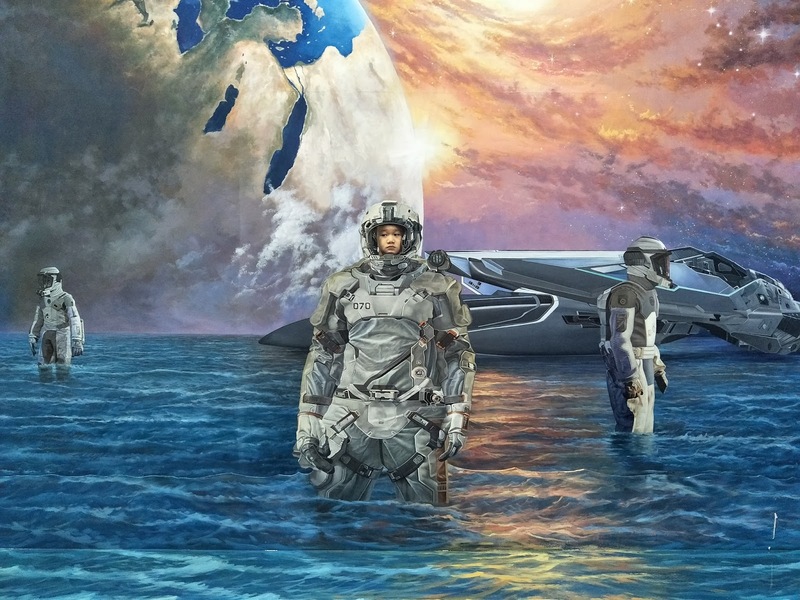 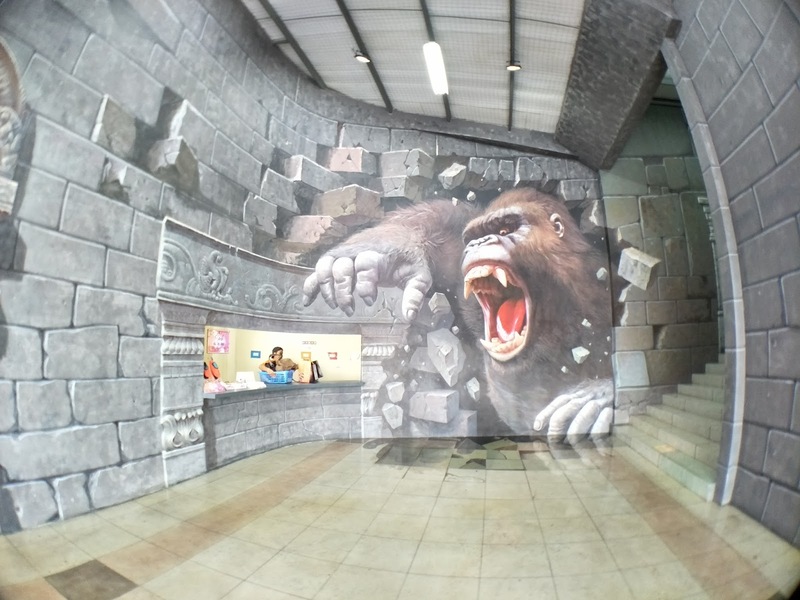 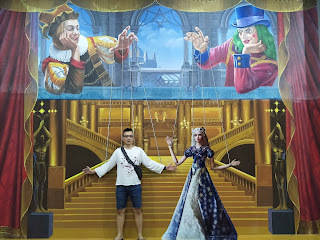 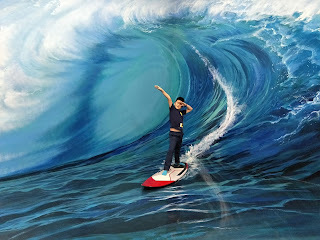 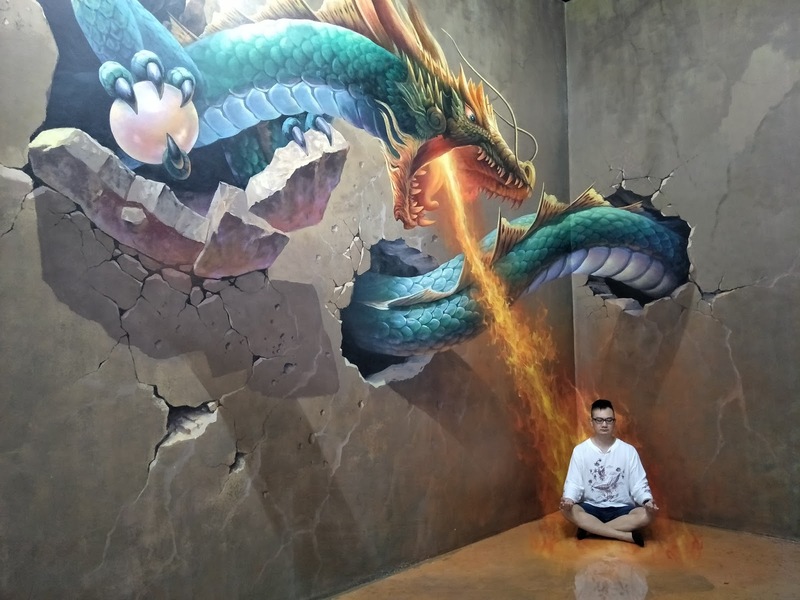 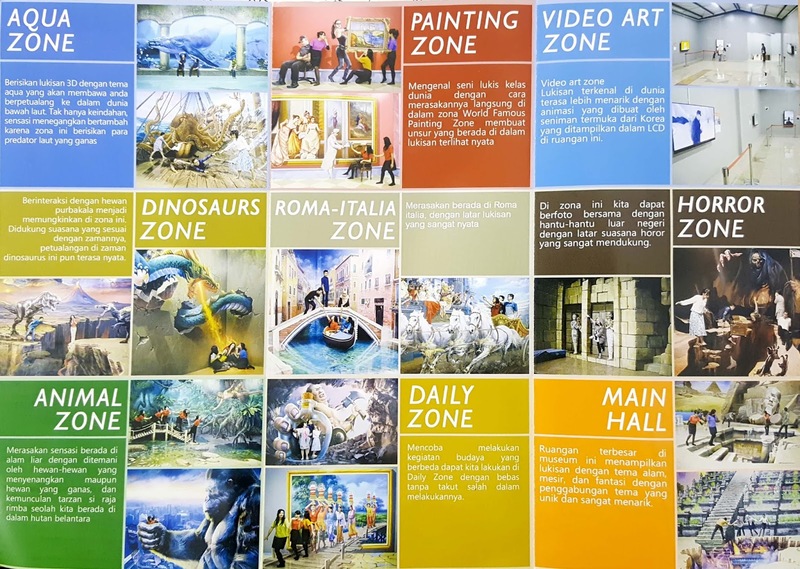 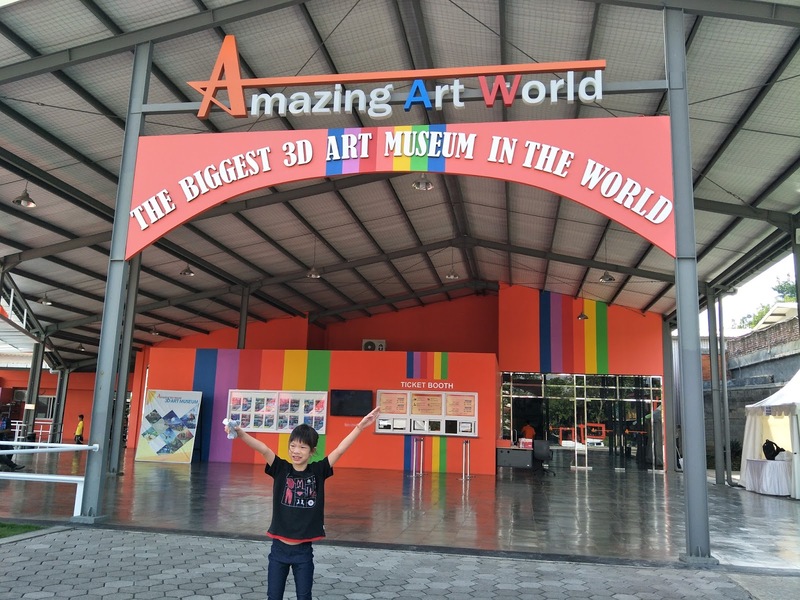 We had a few 3D art here in Malaysia but I can tell you Bandung's is a must visit if you are there. 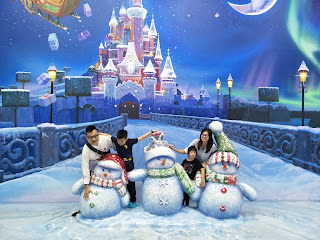 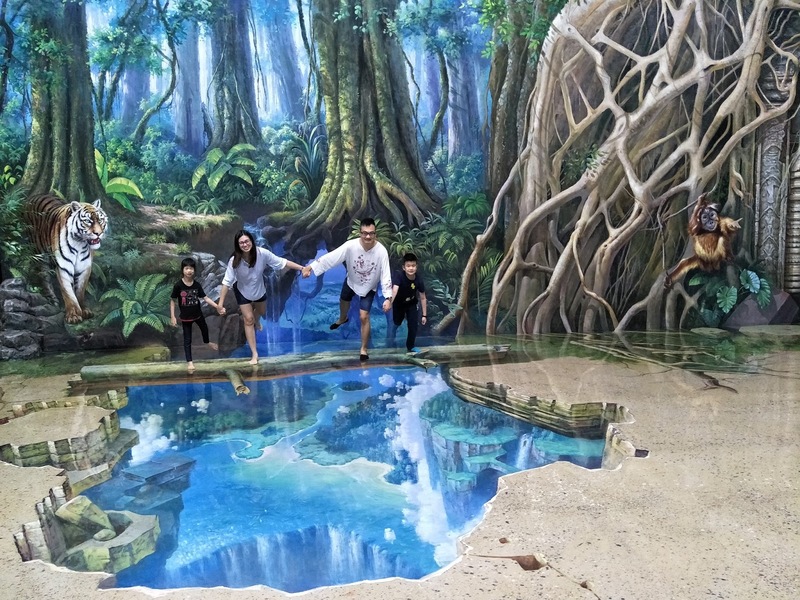 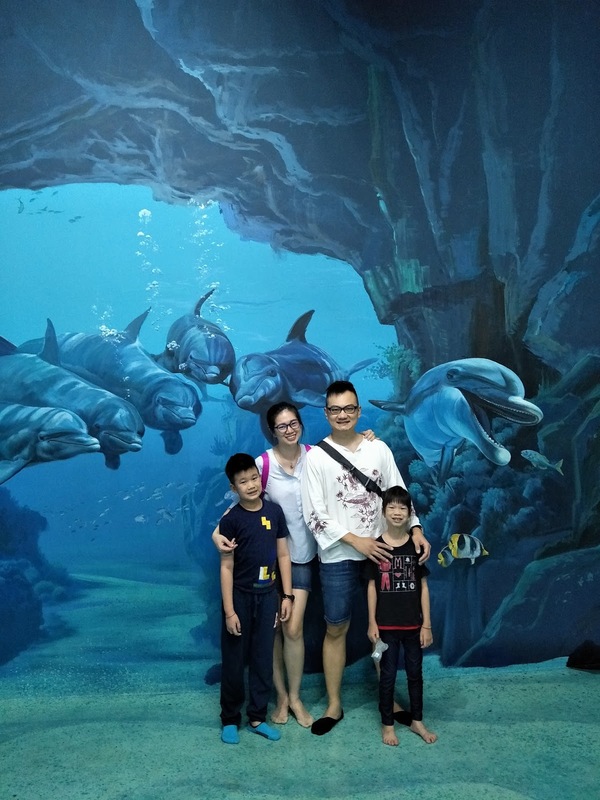 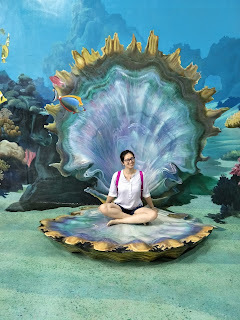 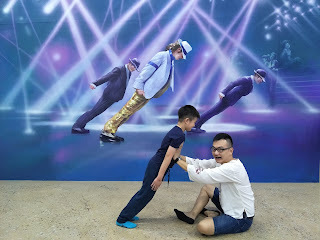 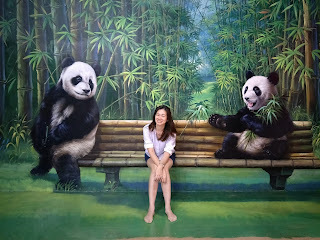 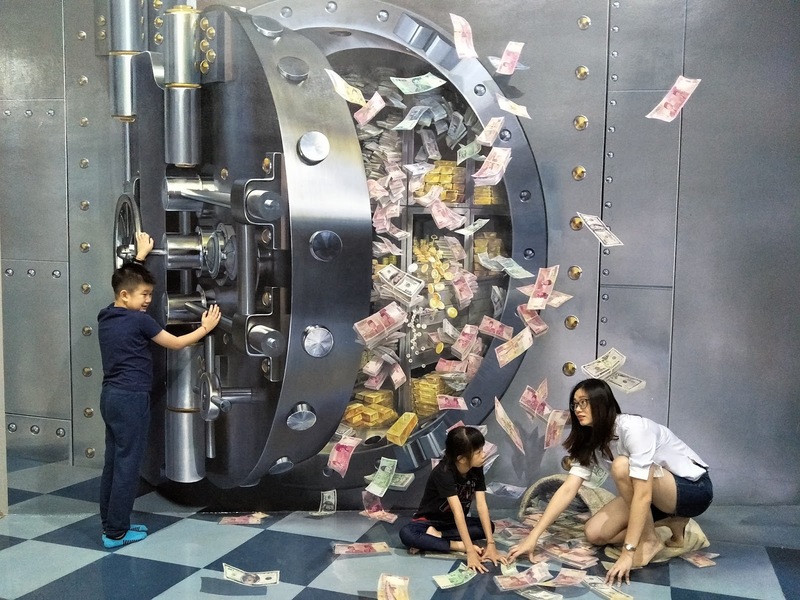 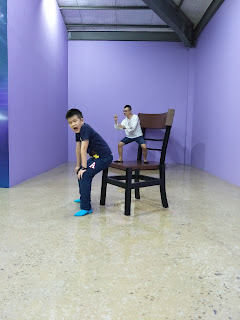 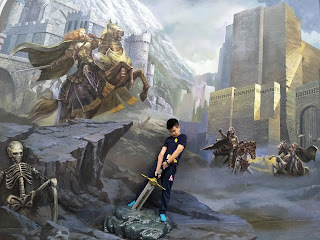 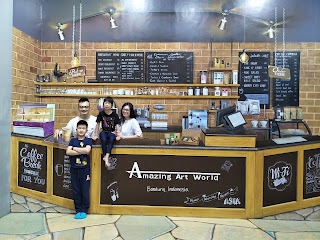 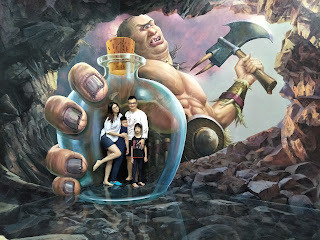 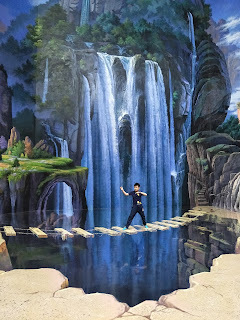 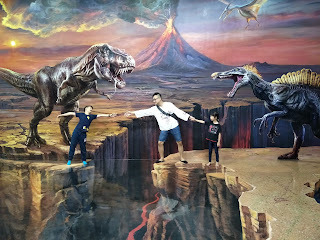 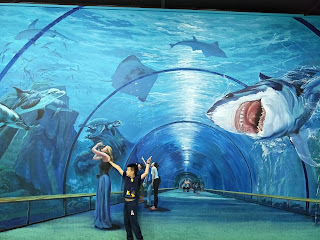 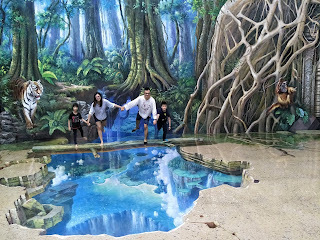 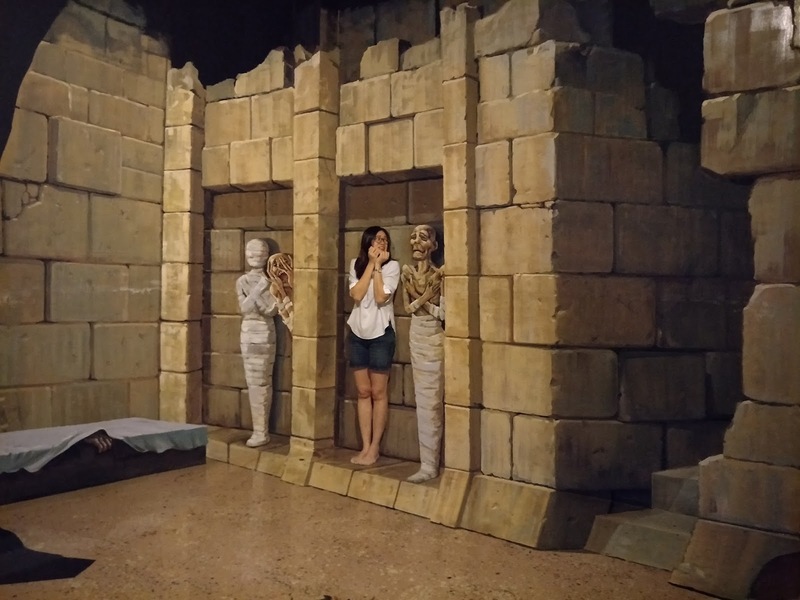 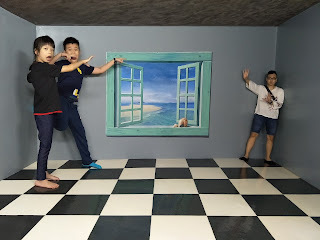 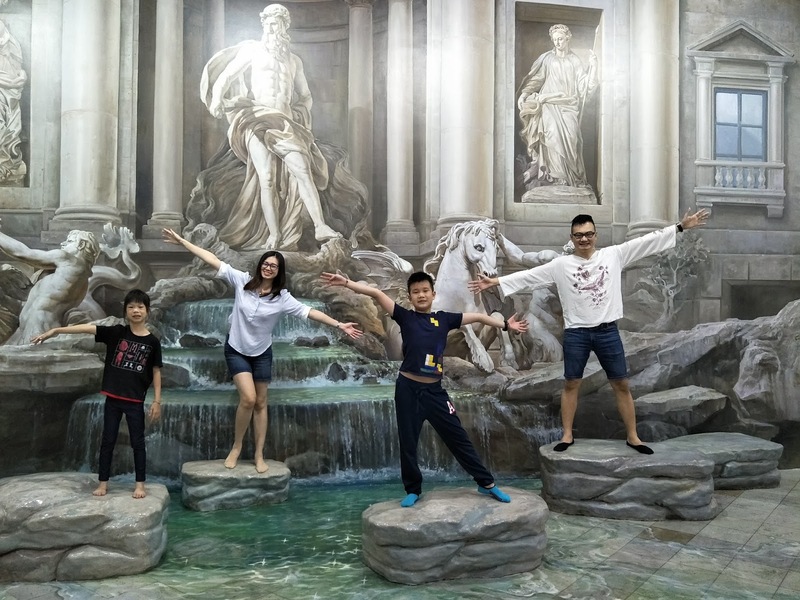 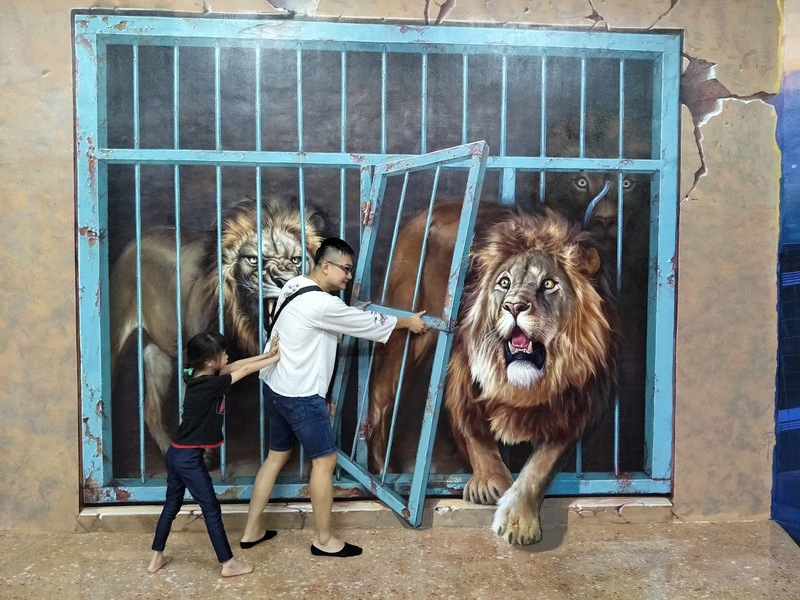 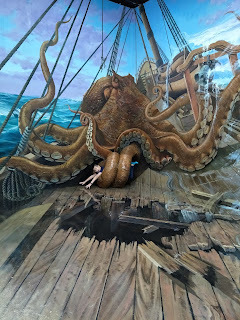 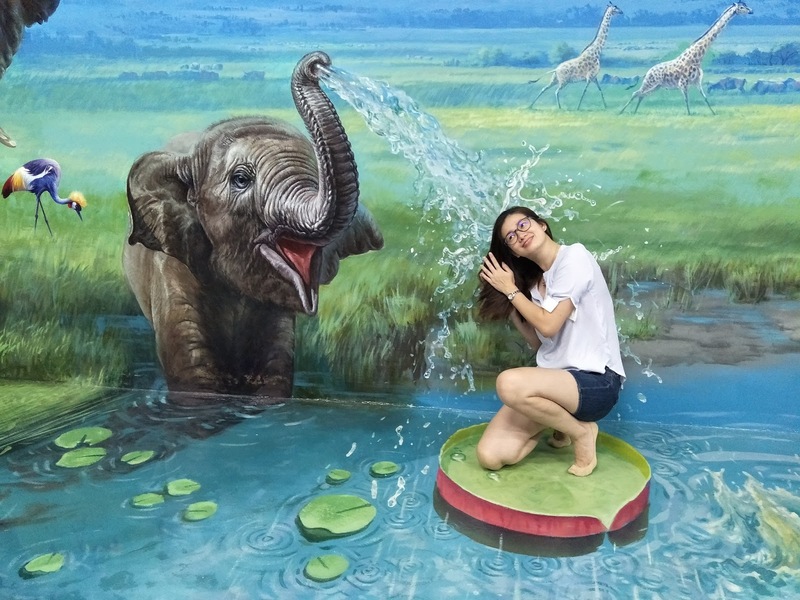 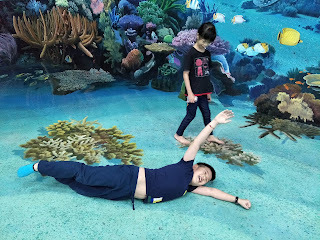 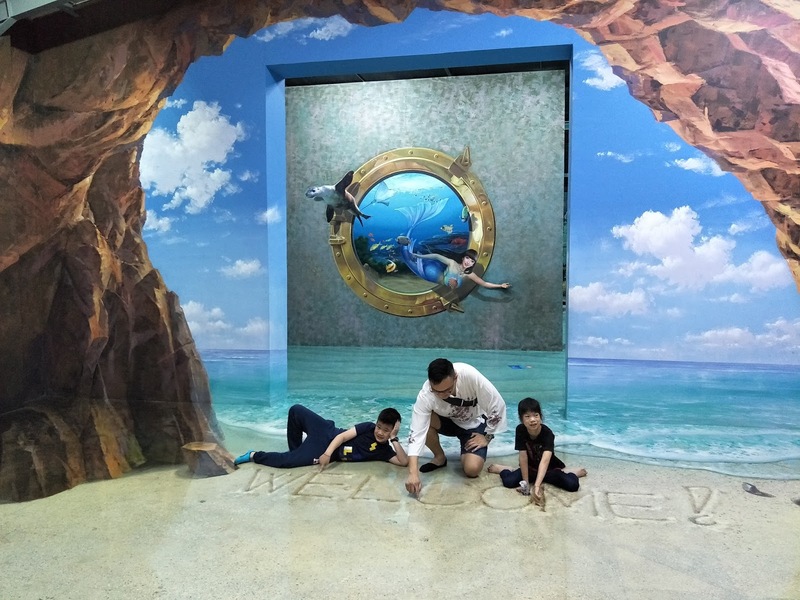 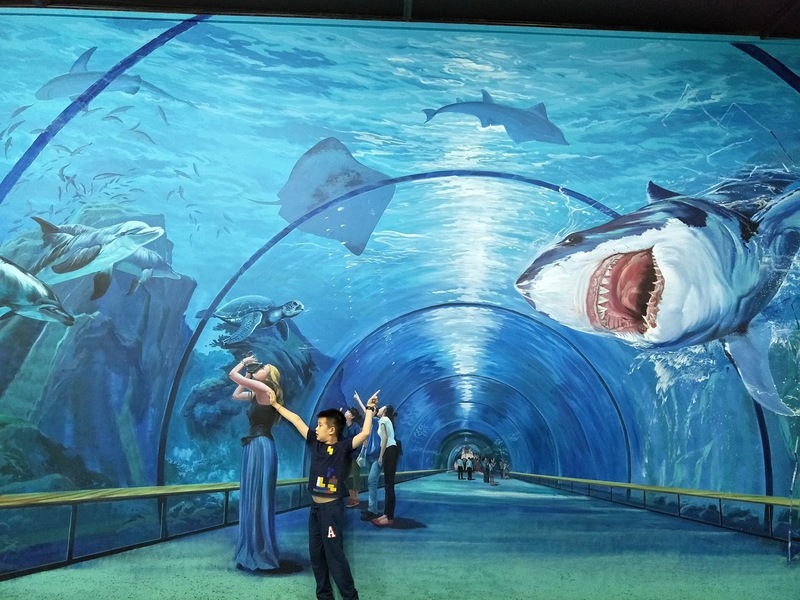 (Just like you, I thought to skip this attraction but we really had so much fun - liking how hubby and kids posing around the place for the picture perfect moment and me, admiring the arts! 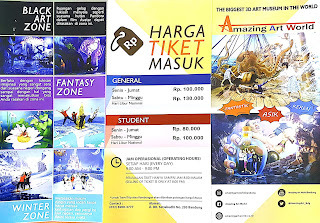 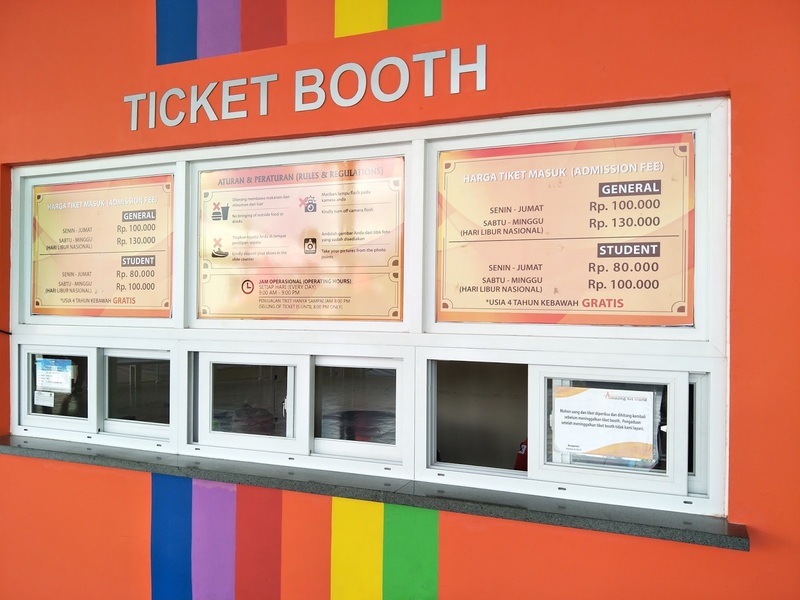 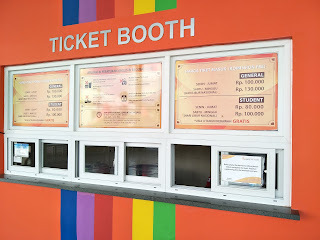 You will be getting this brochure after purchasing the ticket from the counter. Before entering the 3DArt Exhibition, we are required to take out our shoes and put into a basket. 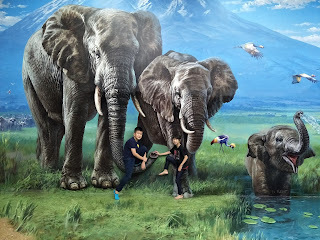 Sofian is kind enough to let us leave our luggage there too. 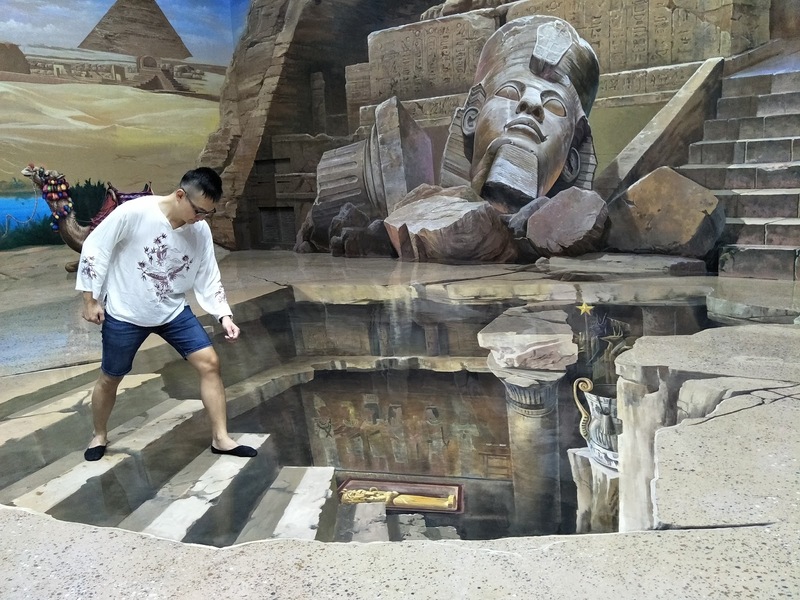 After we had completed the whole experience, we will collect our shoe from the exit counter. 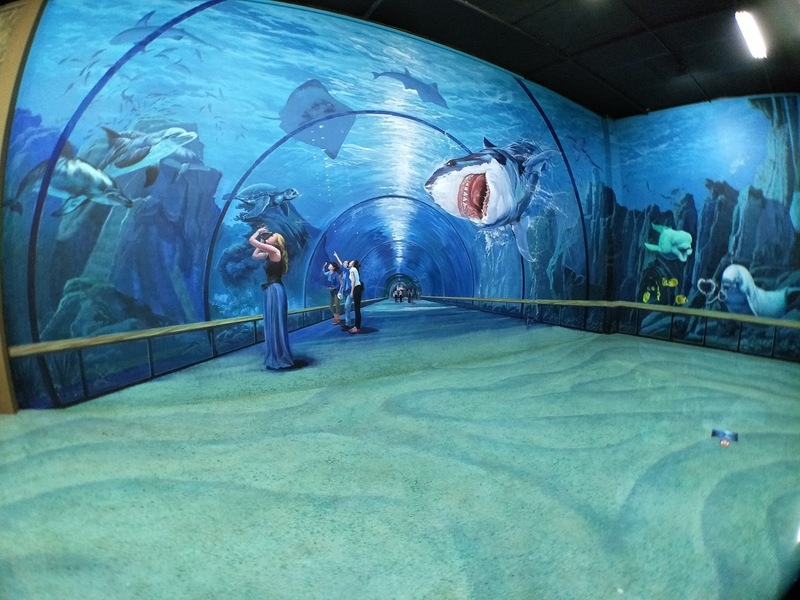 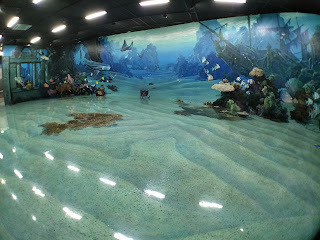 It will be the Aqua Zone....love the big Octopus, sharks and underwater! 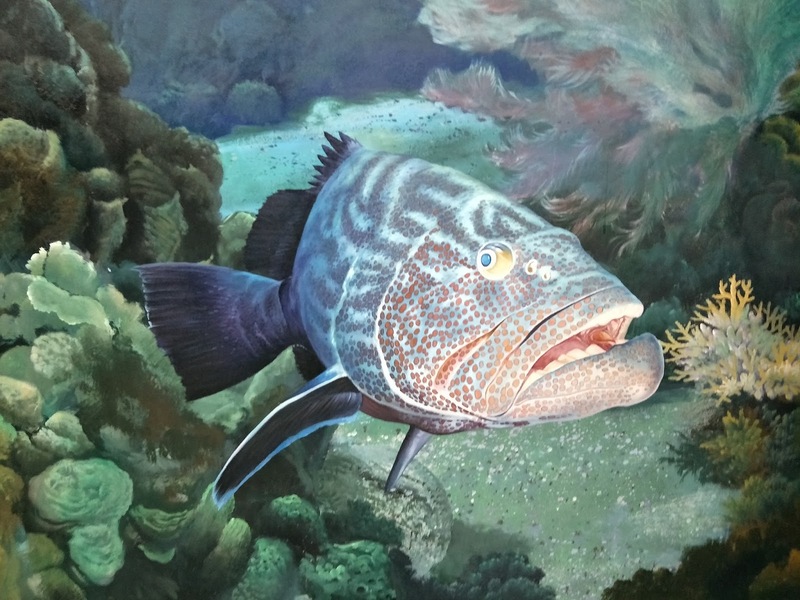 This fish look so real and it is actually painted. Love this one the most, he just took off his clothes and love the effect! 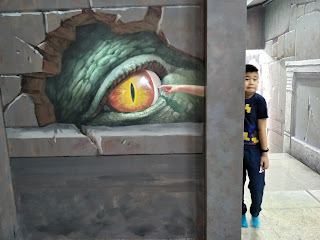 He spot it! 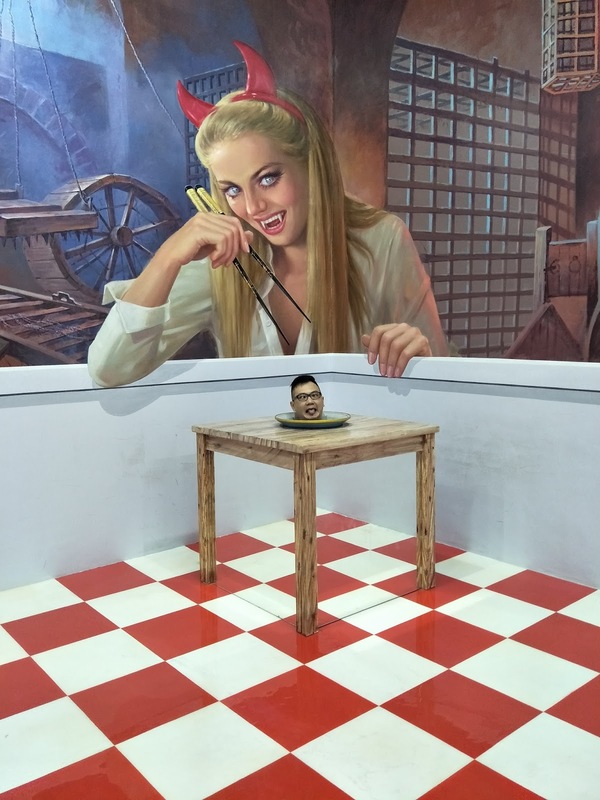 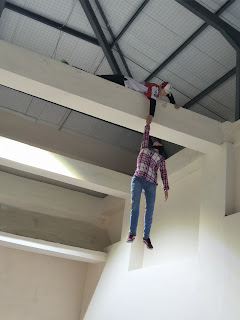 There is also a Horror Zone on the way to the greatest Main Hall. 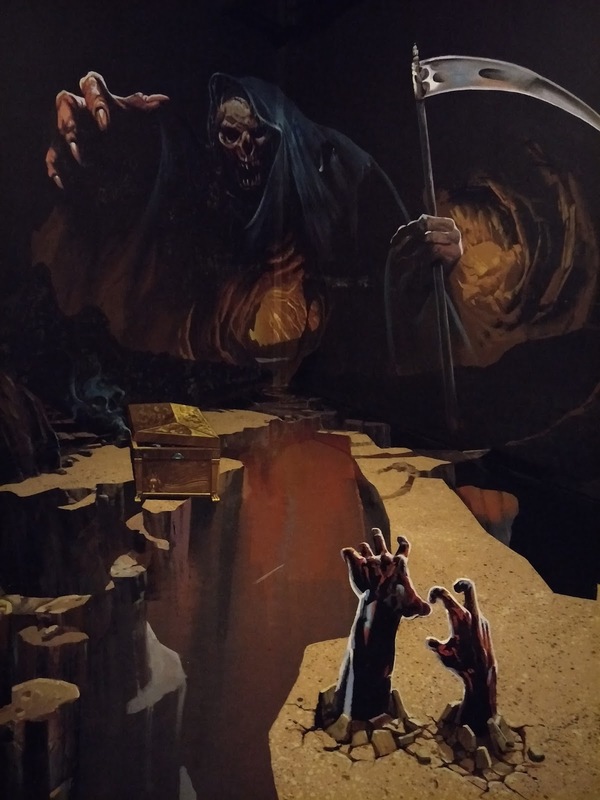 This is when I thought the Horror Hall is the end then we saw this amazing huge hall with magnificent art to adore to. There is not many people at the time, so we had the whole space by ourselves. 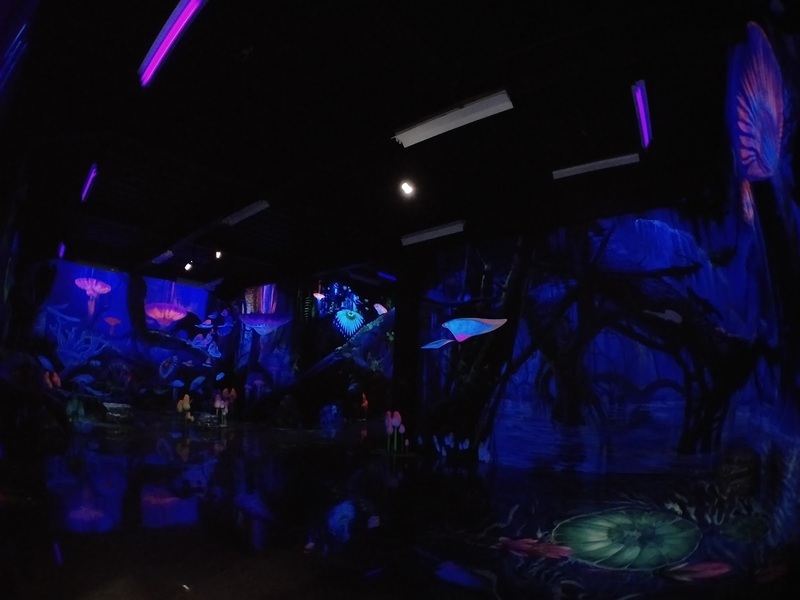 Always great when you go to places like this on a weekday. Black Art Zone. 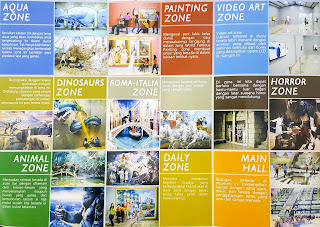 We didn't bring our DSLR camera, but it's really lovely inside this zone. 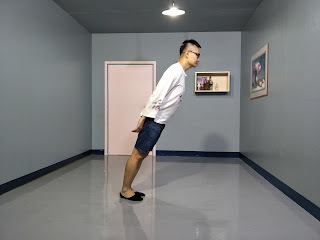 Do wear white base shirt as you see yourself glow too. 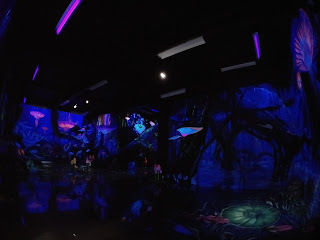 Fantasy Zone is the next. 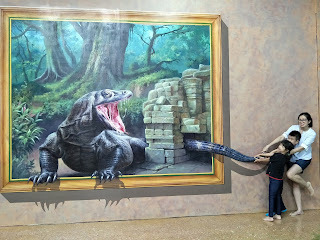 Haha we only could take some pictures as there are whole lot of it! Ahem, who is that you are kissing? Here is at the exit. 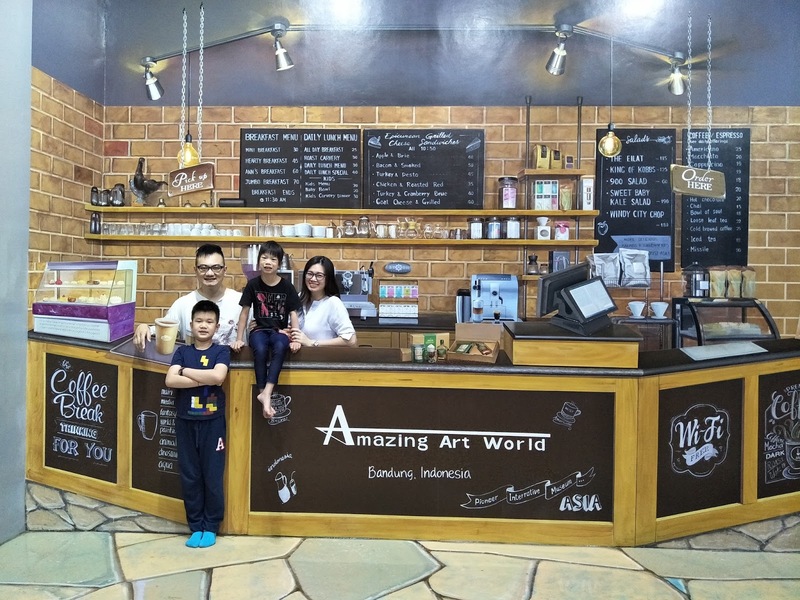 A small cafe for you to chill and gather with a souvenir shop before that. With love from us. 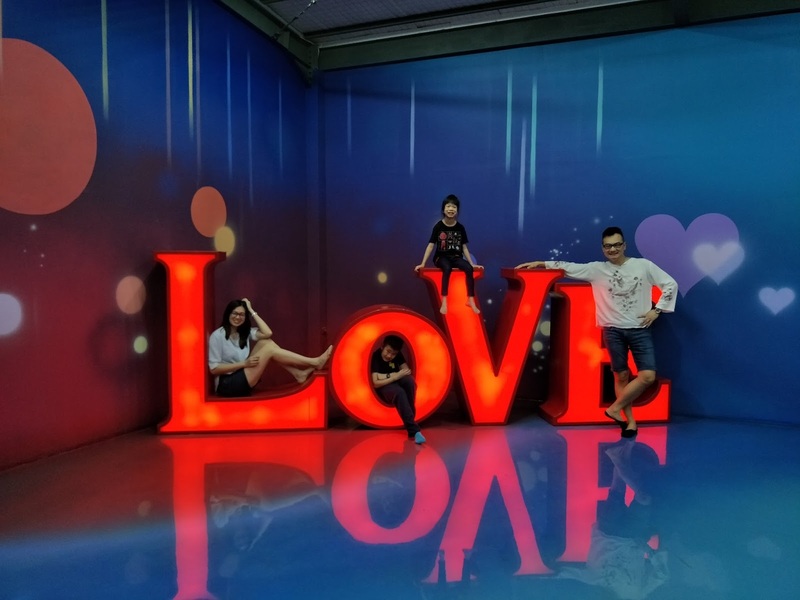 Hope you enjoyed as much as we did when you go there. 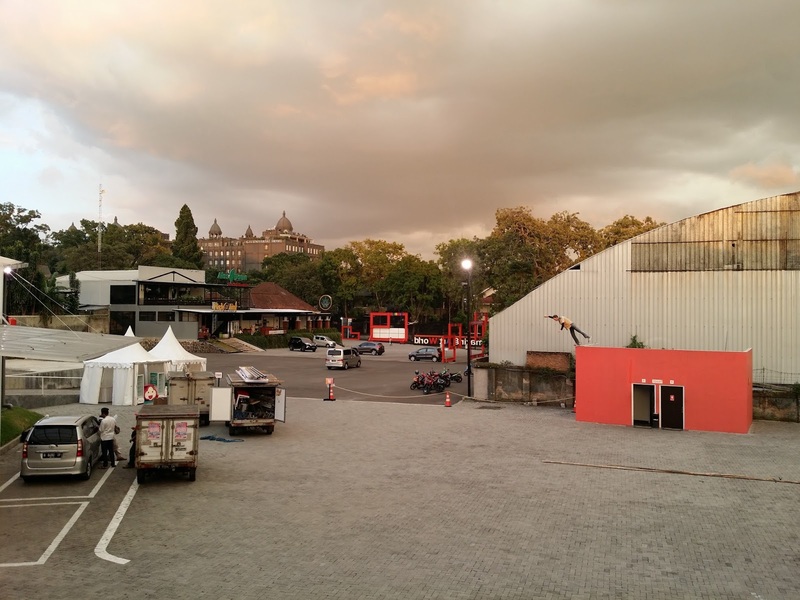 View from Amazing Art World Bandung - lovely sunset colour at exit after our 4 hour visit.